Chew time… a highlight of a dog’s day (or week), narrowly competing with breakfast, dinner, and walks! We’re not talking about dogs chewing homework, shoes, or wood furniture– we’re referring to bully sticks and other natural single-ingredient dog chews. Not only do dogs ABSOLUTELY love them, dog chews have the power to keep hyperactive or restless dogs occupied and calm while their human gets stuff done! Talk about a lifesaver! Those who feed their dogs natural chews like bully sticks can attest that their dog’s teeth are cleaner as a result of their chew time. Natural dog chews are extremely beneficial to overall canine dental hygiene for multiple reasons. perhaps most importantly, satisfy dogs’ natural desire to chew! What if your dog is sensitive to beef? Luckily, there are hundreds of chew options out there that don’t include common allergens like beef. From chicken, pork, and elk antlers to less common proteins like kangaroo and crocodile, there are plenty of choices for the hyposensitive or finicky pooch. Vets across the US recommend natural dog chews for maintaining healthy teeth and gums in dogs. A great feature of bully stick chews, in particular, is that they come in a large variety of thicknesses and lengths to suit any size dog and chewing habit. For the smallest of dogs, there are 4 inch thin sticks; for the largest or most enthusiastic chewers of them all, there are 12-36 inch sticks in multiple thicknesses for more durability and longer chewing satisfaction. One size doesn’t fit all! 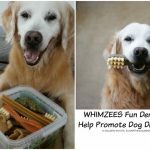 You can find bully sticks in twists, braids, spirals, and other shapes to offer a challenge and really clean the nooks and crannies of your canine’s teeth. 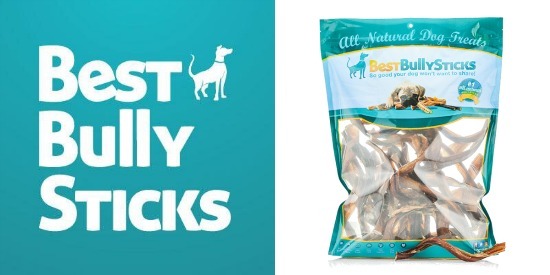 To help promote healthy teeth and satisfying chew time for dogs, Best Bully Sticks is offering a giveaway for a 25 pack of 7-10 Inch USA Curly Bully Sticks, a value of $62.99! 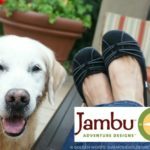 Check out BestBullySticks.com for a great selection of natural dog chews and treats available from the comfort of your home. My Pugs Olivia and Jaxon. Need a good quality chewie. They are both puppies and in a major chew phase. 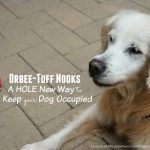 It is really hard to find good quality chews for them that I feel are safe for them. 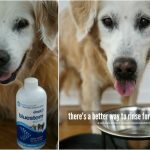 I have heard wonderful things about this product and I would love to have them try it and if they like it make it a part of their treat routine. Maybe it will save some of my furniture. Sugar, that looks so tasty, I think I will eat my scrren :o) thanks for a fabulous review, I tried bully sticks the first time as Goose sent them to me and I think they are the best treat for a guy like moi! I’d love some bully sticks to chew on- my mischief has included ripping the carpet off the staircase. I think bully sticks would keep me busy, and with our foster dogs that stay with us, I bet they’d like to have a few as well! I would share with them. They look delicious! Yum!! Who doesn’t LOVE bully sticks?!? I’m a great chewer so I would definitely need bully sticks to keep my chompers healthy! The fluffies are huge fans of bully sticks! They’re one of the few treats that can keep them entertained for a long period of time. My dog Nika loves to chew but is very picky. She would love to try the bully sticks. She could use them for her teeth. We deserve the Best Bully Sticks because we are good boys and would share them. 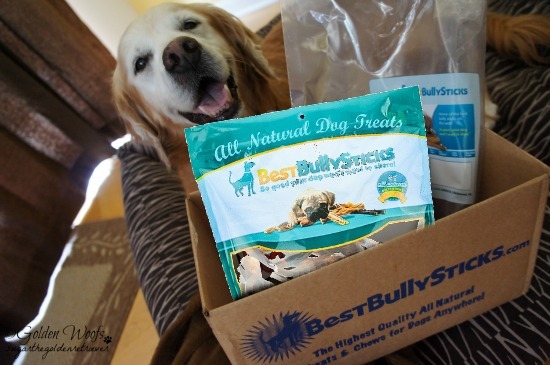 Best Bully Sticks has pawsome treats that are good for us dogs! They sound great Sugar and good for your teeth too. Have a marvellous Monday. Sugar what a nice box of goodies. We’d like to try those! Shiner likes the idea of having a variety of dog chews. Especially ones like these! My dog Mo is almost 6 and was rescued as puppy running across the road dragging a chain to his leg. Since then we have been best friends. He was there for me while I went through my divorce. Through my sickness I have a illness that keeps me in bed a fewe times a month and was there before and after I brought my daughter home. He guards the house and is truly an amazing soul. My Mastiff Molly deserves them because we just adopted a new puppy from the shelter and she has been so patient with her! Rocco deserves a good chew because he lives for his chews and he loves Best Bully Sticks. Great giveaway! Sugar, we’re so glad you like our Curly Bullies. We think they were a nice Halloween treat for you :). Because they are my fur kids and deserve the best!!!! Because that golden dog is enjoying and I too wont to enjoy them, me Bella. My dog loves treats and he is very loyal and waits for our daughter at the school bus stop every day. My dogs deserve them because they just awesome! They are very well behaved and always good. My dog Bullet deserves them just because he is a really great dog and I love him a lot. My husband has gone to help my son re-model his home and our English Springer Spaniel is have anxiety issues. I believe that these Curly Bully Sticks would help him relax. Would love for Baylie to taste-test Bully Sticks. Can you believe it…she’s never tried them! She definitely needs some chewing action. I think the curly bully sticks would help keep Baylie’s teeth plaque free in between cleanings. My dogs deserve these treats because they provide so much enrichment to my life. They’re beautiful souls! Shunta and Kota have been a prt of our familly for lots of years and they are our best friends and great companions. They deserve the best. My dogs deserve them because they are good, well behaved dogs who show me they love me every day. We just love bully sticks and all the yummiest from BestBullySticks.com but momma has been unemployed for a while now so we don’t get them like we used to. We try very hard to understand but darn it we miss our bullies! My German Shepherd Diesel loves his treats, I only give him treats that are all natural and bully sticks are something he hasn’t had yet. I know he would *( them! My dogs are the best dogs in the world and deserve the best of everything! I need to keep my very active aussie busy sometimes when I cannot be playing fetch. He would like for me to be available 24/7 for fetching and frisbee playing. Ha! My dog deserves Bully sticks and the world because shes survived breast cancer and is a amazing dog. two christmas’ ago she had to have surgery to remove her cancer. Her survival rate from the surgery was 5% and her changes of getting rid of all the cancer was 10 % it was over 1 grand for 5% chance of living.. two years later shes a happy healthy pooch! That’s why she deserves them! I have 5 dogs who love treats. My dog deserves bully sticks because she is a rescue!! 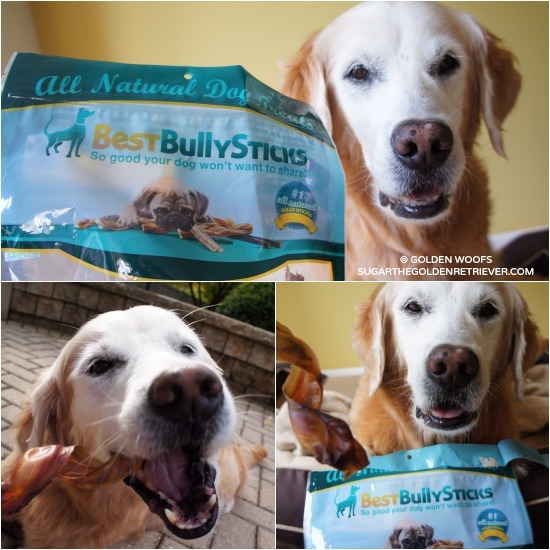 These bully sticks are great for her and just what she needs to stay happy and healthy! I only give her treats that are natural. I have 2 deserving dogs – they deserve these because they are good, loyal family members & they love treats! I have 4 dogs and 3 puppies who love treats. My dog deserves treats because she is such a good girl! Because he’s a pittie and he gets bullied by other dog owners or they don’t want to play with him because of his breeds rep. I have been a loyal customer of Best Bully Sticks for years. My dogs love the super crunchy bully sticks. They would love the curly ones too! My dogs deserve Best Bully Sticks because they are not chewing up my furniture or my underwear! My dog deserves them because she is such a love bug! And she loves bullies! We just bought a new house and they have been amazing with the transition. They are the best dogs I could ever ask for. My dog deserves them because she is such a good girl. She is a rescue and is the kindest, most calm dog ever! After all she’s been through, she would really enjoy these! My dogs both work hard at keeping me company while I do my homework. They also make sure that I take breaks so we can go for our daily walks. My dog was rescued as a stray with scars on his neck so he deserves to be spoiled as much as possible now. They deserve it because they have been so good even though it’s been such a boring week stuck at home. I would like to have this for my sister’s dog. She needs help right now because things are tight. Maggie is the best dog ever and deserves to get everything she wants in life. She wants these bully sticks! They are her absolute favorite treat! My 4 rescued dogs who survived some real horrors before finding their forever home, deserve the finest dog treats out there. They earned it! My boy Beau deserves the bully sticks because he is friendly to all the dogs that come to his house. I board dogs in my home and he is welcoming to all dogs. We rescued our dog last yer from a terrible owner. He was left in a backyard since he was 8 weeks old until he was 7 months when we adopted him. He had very little human contact, but despite this, he loves people and all animals. However, he becomes over stimulated when we touch him, he gets very excited which makes it difficult to groom him. I have found Bully sticks are the only thing I can give him to keep him calm enough for me to groom him. He deserves the best. My dogs Murphy & Izzo DESERVE a 25 pack of curly Bully Sticks because they are the best boys ever! They love me even when I am my most unlovable! I leave them every morning (with daddy at home) and when I walk back in the door over 9 hours later, they can’t wait to come and greet me. It doesn’t matter how bad of a day I’ve had, they love me without reservation! They also are awesome and bring so much joy to our lives and everyone we meet. They are both collies so everyone calls them Lassie and thats ok with them. We bring them to visit at the nursing home and they seem to know how to adjust their excitment level to people who are a bit more frail. Even at a rambunctous 6 months old my Izzo would walk up to each person, gently rest his head in their lap and let them pet him while he wagged his tail. When they were done, he’d move on to the next person. When we are finished with our visit and go back outside his puppyish energy comes right back. They are in one word, AWESOME!!! Because a 2nd dog has come to live in our house and there is more than a little bit of jealously…maybe some treats to share would help. My girl has a sensitive stomach and can’t have a lot of treats so something yummy would be good. My pack deserves to win these bully sticks because they work hard at bringing joy and comfort to others. They are therapy dogs and for 18 months visited rehab patients in the hospital. For the past year, we have been going to a severe head and spine injury center to brighten their lives there. breast cancer and dealing with my own life. Due to my severe economic drain right now, it would be so nice if they could be rewarded with some healthy treats. They have never experienced a bully stick. My dog deserves the bully sticks, so he’ll stop chewing my shoes. We have 3 dogs and they are just AWESOME!! They would go NUTS!! My Dog wouldlove to try these. She is 10 now and still a big and playful girl! My five rescued Treeing Walker Coonhounds have had rough starts in their lives. They are healthy and happy now but with five of them, I don’t always have the funds to buy them things like these. They had their first bully sicks not long ago and really loved them. These would be a great treat for them. goodness my 6 month old lab is amazing but teething alot. PLEASE help!!! She’s such a sweet & loving dog! I like to give her treats she’ll enjoy! Ginger has been such a good dog all year and is such a sweet girl — she would love to get some bully sticks in her stocking this year!! Cocoa and Rocky are the best dogs ever. At least they think so. Because they are both the best and always make me smile no matter how bad my day me be going! My fur babies Marley and Colby are great dogs who are very loving and gentle, always welcome me home and are always by my side. My dog loves us, entertains us, guards us, and is a part of us. Reesee deserves it for being the best dog I could ever have. My babies Winnie and Elvis deserve to win because they are the best dogs in the world and I love them! Even though he’s small, he’s very loyal and protective!